Godshaw Jewellers are an independent, family run Jewellers based locally in Hertfordshire. Established in 1947 by Freddy Godshaw, and now in the hands of his son Steve Godshaw. Godshaw Jewellers are a warm and welcoming family business that provides the highest customer care and service, which extends to their suppliers. Godshaw wanted a website that was fully responsive across all devices that integrated with their social media channels including Twitter, Pinterest, Instagram and Facebook. They also wanted a website that was easy to update with new products and the possibility of becoming a full e-commerce platform enabling them to sell online. 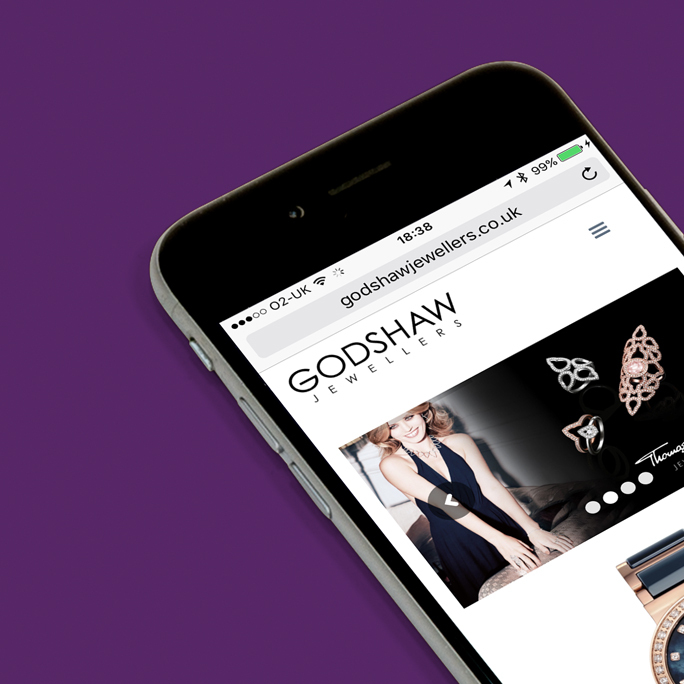 We are supporting Godshaw’s with how to use WordPress and are now formalising a support plan to help them take the site onwards in regards to SEO, localised SEO and inbound marketing.